WIP: Bits and Pieces | OccasionalPiece--Quilt! Wow, that Santa piece is amazing! Looking forward to seeing this finished! Wow – I love that Santa! He looks awesome! Those blocks with Santa are great! I love the turquoise too. 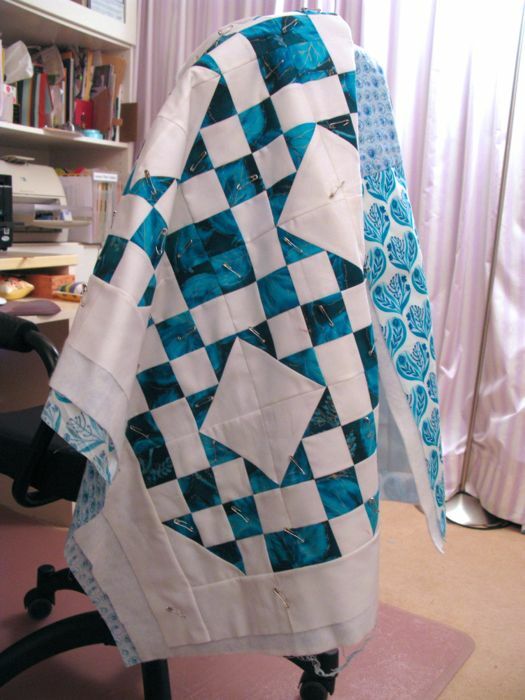 How do you get a Schnibbles quilt done every month? And they are always so cute too. Plus I’m jealous. My Four in Art quilt is mostly, but not completely done. 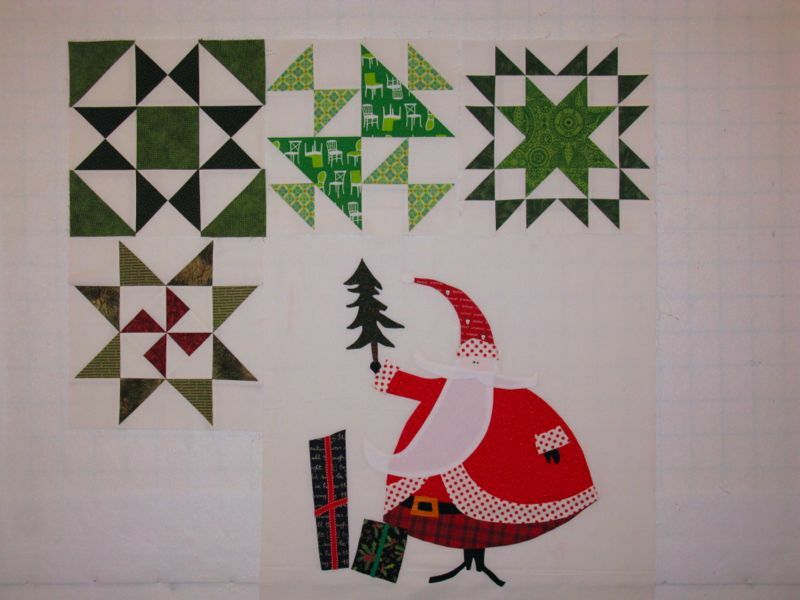 Leaving Friday for Quilt Market so will finish it when I return. There’s just something about waiting till the last minute that seems to be my usual mode of operation. 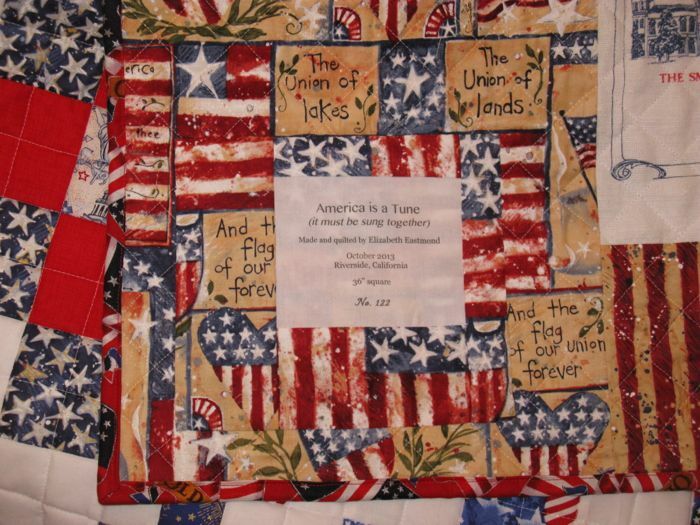 Love the colors in your scnibble quilt…great job.